The candidates for the 2016 elections have filed their papers, and the ballots have some familiar names. There are perennial candidates, former officeholders who want their own jobs back and candidates with the same names as their opponents. Texas Supreme Court Justice Paul Green (left) is facing a Republican primary challenge from Rick Green. Some names show up on the ballot again and again. And sometimes those perennial candidates win, so you have to pay attention to them. You have to keep an eye on rematches as well. A grudge is a terrible thing to waste, especially during election season. And voters in parts of the state will see the same names on the ballot that they saw two or four years ago. John Devine is a justice on the Texas Supreme Court, for instance. He beat David Medina, an incumbent, in the GOP runoff in 2012. Devine had been a state district judge and a frequent candidate, with notches on his belt for unsuccessful runs for Congress and district judge. He persisted, and now he’s a statewide official. Rick Green wants to join him on the Supreme Court. Green, a former member of the Texas House who lost his re-election bid in 2002, is challenging incumbent Justice Paul Green in a race that sets up as confusing for any voter who doesn’t have a favored candidate’s first name memorized. Rick Green lost to Debra Lehrmann in a 2010 GOP runoff for a spot on the court. 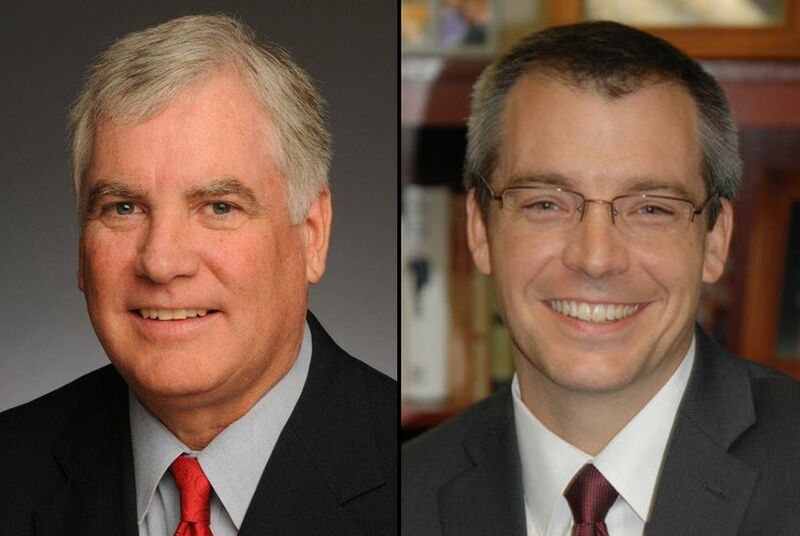 Lehrmann is on the ballot again this year, but Green targeted another incumbent. By the time his intentions became public, Lehrmann had already drawn an opponent of her own — Michael Massengale of Houston — who came into the race with substantial support from one of the trade groups that helped her get elected six years ago. So it’s Green vs. Green in the March 1 primary. Joe Pool Jr. — his father was a congressman from Texas — is running for the Texas Supreme Court, too, against Justice Eva Guzman. Perhaps you know the name: Pool was the third candidate in the Devine-Medina race in 2012, and he ran two years ago against Jeff Brown for a spot on the court. Texas has a fair number of former elected officials who paid good money — in the form of campaign filing fees — to see whether voters really meant it when they voted to send those officials home. It’s not uncommon, and sometimes, it works: The replacement candidate hasn’t had time to make a large public reputation, and the former incumbent might still have a well-known name. Former state Rep. George Lavender is back to challenge state Rep. Gary VanDeaver, who beat him nearly two years ago. Lance Gooden is back on the ballot against state Rep. Stuart Spitzer. Brent Goleman hopes to knock off State Rep. John Cyrier, who won their special election runoff in February to go to the House. Philip Eby lost to state Rep. DeWayne Burns and wants another go. Former state Rep. Bennett Ratliff will challenge Rep. Matt Rinaldi. José Menéndez won a state Senate seat in a special election this year, and his foe and former House colleague Trey Martinez Fischer is back for another round in the Democratic primary. One of the candidates U.S. Rep. John Ratcliffe beat on his way to Congress two years ago — Lou Gigliotti — is back. So is Barbara Mallory Caraway, who wants another shot at U.S. Rep. Eddie Bernice Johnson. Some of the familiar names were in other races at other times. Steve Brown, previously a candidate for the Texas Railroad Commission, is running for the House this time. Van Brookshire, who’s been on the ballot several times for various positions, is after a House seat. Hugh Shine hasn’t been on the ballot for years. He left the House to run for the Senate, unsuccessfully, in 1990. Now he’s running for the post he left more than a quarter of a century ago, which is held by freshman state Rep. Molly White. Chente Quintanilla is in the same boat, having left his House seat to seek another job two legislative sessions ago. Now he’s back, challenging state Rep. Mary González, who succeeded him. Some candidates lose, move and run in their new districts. Jim Landtroop, a former state representative from Plainview, is running for a Lubbock seat in a different legislative district this time. Briscoe Cain lost in House District 129 in 2014; this year, he’s on the ballot in HD-128, challenging state Rep. Wayne Smith in the Republican primary. Some races are not quite rematches, but could ring a bell with voters. State Rep. Wayne Faircloth, a Republican, got into office by beating Susan Criss, a Democrat, in 2014. He’ll face Lloyd Criss, father of his former opponent and a former state representative himself, next November. There’s another avenge-the-family candidate coming up sooner than that. State Sen. Carlos Uresti came into office by challenging an incumbent fellow Democrat, the late Frank Madla. Now Helen Madla, Frank’s widow, is trying to reclaim the seat.